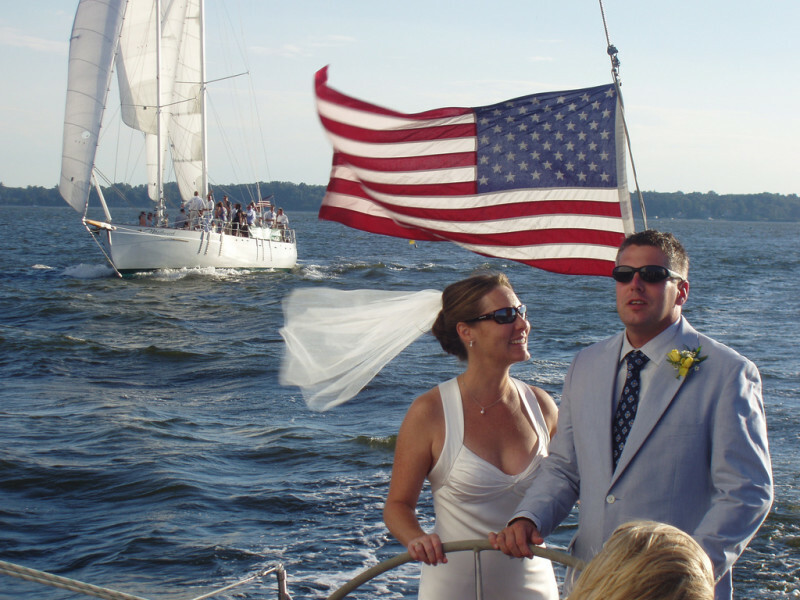 Sail Away on a 74-foot schooner for your wedding, rehearsal dinner, or just an informal way to get your family and friends together enjoying the outside. 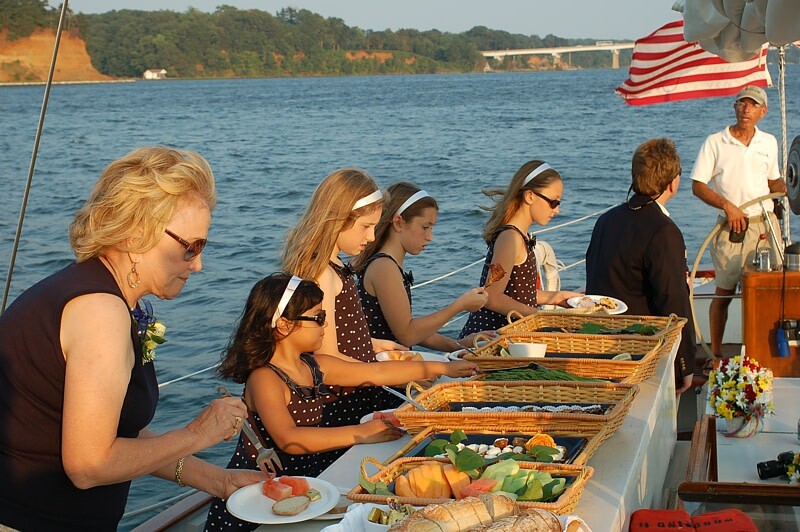 We specialize in a low key but fun adventure for your guests while taking in the views of the Annapolis waterfront. 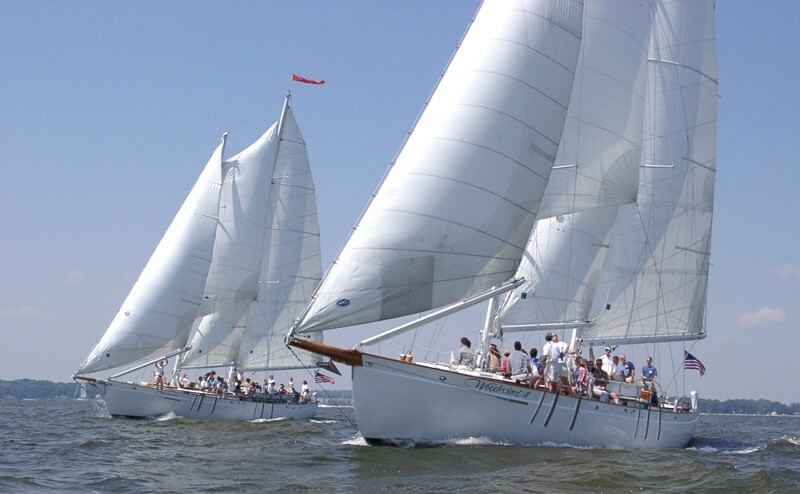 Sunset sails are very popular.